UPDATE: The contest to win tickets to the Weekend of Horrors Convention is now closed, and we will soon be sending notification to the lucky winners. Thanks to everyone who participated! 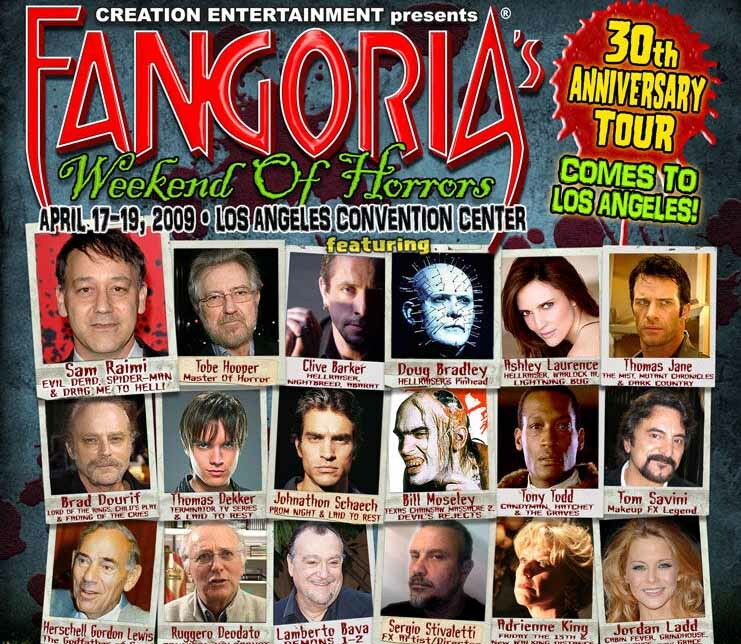 This year's installment of the Fangoria Weekend of Horrors is coming to the Los Angeles Convention Center in April. Hollywood Gothique and Cinefantastique Online are teaming up to get you into the convention for free. We are giving away two pairs of tickets, which can be redeemed for any single day of the convention, which runs the 17th through the 19 of April. UPDATE: We have heard that the log-in process is not working propertly for people trying to enter the contest. Instead of leaving a comment on this post, you can send an email to STEVE@hollywoodgothique.com. Put "Fangoria Contest" in the subject line. Make sure to use an mail address you check frequently, so that we may contact you if you win. Two winners will be selected at random on April 12. You will not receive a physical ticket beforehand; your name will be on a list at the door. Affiliates, freinds and family of Cinefantastique Online and Hollywood Gothique are not eligible. 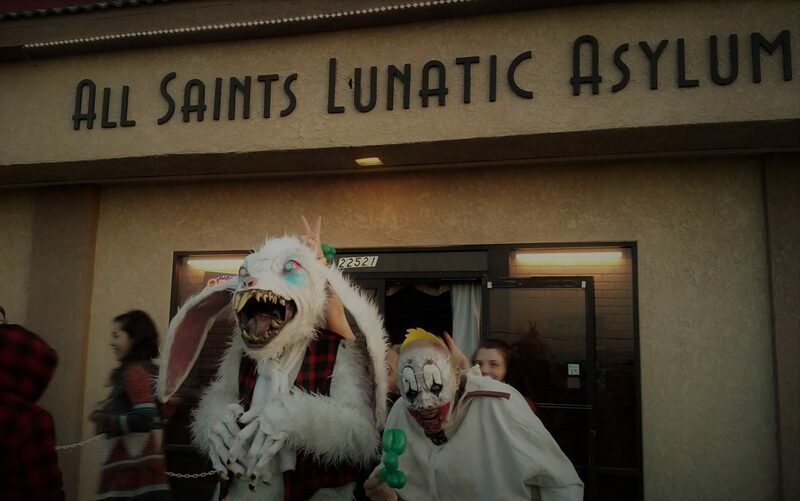 The convention features several seminars, a Vampire Ball, a Zombie Walk, and an art gallery. Seminars include Hershel Gordon Lewis giving a workshop on low-budget film-making; Clive Barker on horror writing; Tobe Hooper on Film-making 101; and Tim Sullivan on horror film-making. Other guests include: Sam Raimi, Doug Bradley, Tony Todd, Thomas Jane, Ashley Laurence, Brad Dourif, Bill Mosely, Tom Savini, Adrienne King, Ruggero Deodato, Lamberto Bava, Sergio Stivaletti, Tiffany Shepis, Patrick Lussier, Robert Kurtzman, Marilyn Burns, Adam Green, Reggie Bannister, Fred Olen Ray, and Monique Depree.